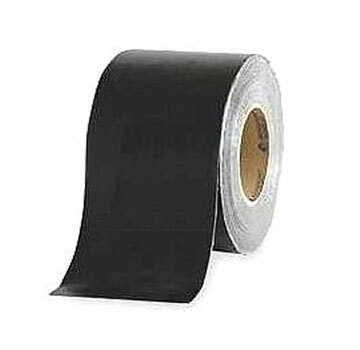 Eternabond RoofSeal is an industry proven universal waterproofing repair tape. Its compatible with all substrate types. Its the best solution for leak repairs or corrosion protection in tough environments and conditions, including land-fill and pond liners. The specialized backing has proven to be UV stable, even after 16 years in full sunlight. The patented Eternabond adhesive has an integrated primer which enables RoofSeal to BOND with the surface it is installed on. It can be applied without primer to most clean surfaces. This is NOT true for butyl adhesive tapes. They all need to have primer applied. Perfect for re-seaming all roofs, regardless of the material, RoofSeal makes a permanent water-tight seal (except silicones). Also great for tank repairs. Rubber, fiberglass, aluminum, modified, shingle, PVC, steel, hot-tar, etc. Elongation factor greater than 700% guarantees RoofSeal will flex, expand and contract in all conditions, even on liners! Can be installed to -20 degrees F (with EternaPrime). Sag rating of over 250 degrees F. 10 year warranty. 3M Scotch-Brite Pad, Maroon Color, Very-Fine Grade for General Purposes. Pad size 6 x 9 inch. Price/Pad. EternaPrime Spray Primer, 14 oz. Price/Can. (Flammable: Ground shipments only). M-1 HIGH PERFORMANCE STRUCTURAL SEALANT & ADHESIVE, BLACK COLOR, 10.1 OZ. TUBE. 24/CASE. PRICE/TUBE. Everhard Steel Seam Roller, 2-inch wide x 2-inch diameter polished steel roller. One radiused edge, single fork, ball-bearing professional grade, 5-inch hardwood handle. Price/Each.